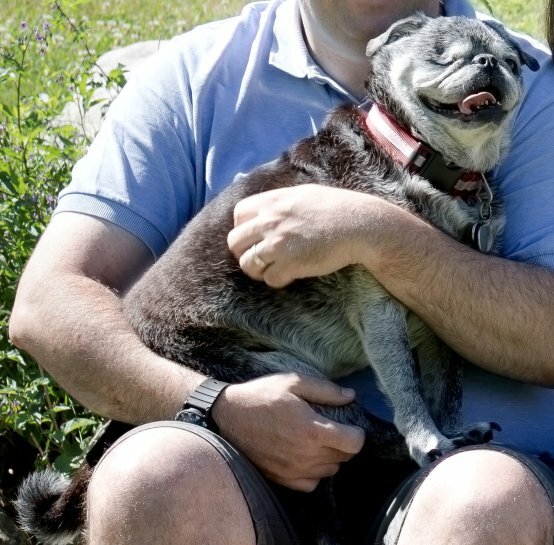 UPDATE: WINSTON HAS BEEN REUNITED! Last seen on Thursday October 4, 2018 at 15 Stearns S., Carlisle, MA. 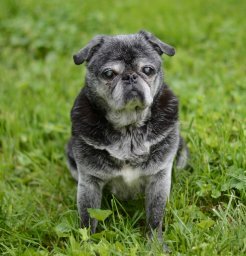 Winston ("Winnie") is a black pug with lots of gray. He is missing his right eye and is blind. He is 14 years old, 22 pounds. He was not wearing his collar but was wearing a bright blue belly band (type of diaper). He is also a diabetic. Please note that since the first picture Winston has lost his eye--it is somewhat noticeable in the second picture.